Honda City – 2010 is a fifth generation model, was launched to the public in Thailand at first place under name of Honda City S which in September 2008 was later uncovered in Pakistan, Indonesia, Malaysia, Philippines, India, China and Singapore. It has been locally manufactured in Pakistan during 2008-2016. The engine of Honda City – 2010 has three types variants including 1.3 L L13Z1 i-VTEC SOHC I4 94hp, 1.5 L L15A7 i-VTEC SOHC I4 117hp and 1.8 L R18A i-VTEC SOHC I4 140hp engines which offer both manual and automatic transmissions in 5-speeds respectively. Honda City 2010 is estimated 10.5 kmpl to 16 kilometers per liters which is best in 1300 cc car mileage in comparison to other giants of brands. In September 2011, Honda made changes in designs and technology by revealing Facelift variant of Honda City, the changes were made in front grille, bumper, wheels upgrade, dual front air bags and redesigned taillamps, side mirrors blinkers, keyless door lock system, rear window break lights, eco driving indicator and speedo meter lights. In Pakistan the facelift was occurred in In May, 2012, with similar new features which are offered in international market. Check out all variants of Honda City – 2010 with details specifications, all variants, high quality images of interior exterior and prominent features with variety of colors at shoprex.com, also the updated price of each model is also listed with the respect of its variation and type. Compare all models of Honda City 2010 Price in Pakistan; explore 2010 Honda City Sedan specs, images (exterior & interior), videos, consumer and expert reviews. Honda City 2010 features include transmission type (automatic/ manual), engine cc type, horsepower, fuel economy (mileage), body type, steering wheels & more. The most economical price Honda City 2010 model is the City Aspire at PKR 1,600,000. 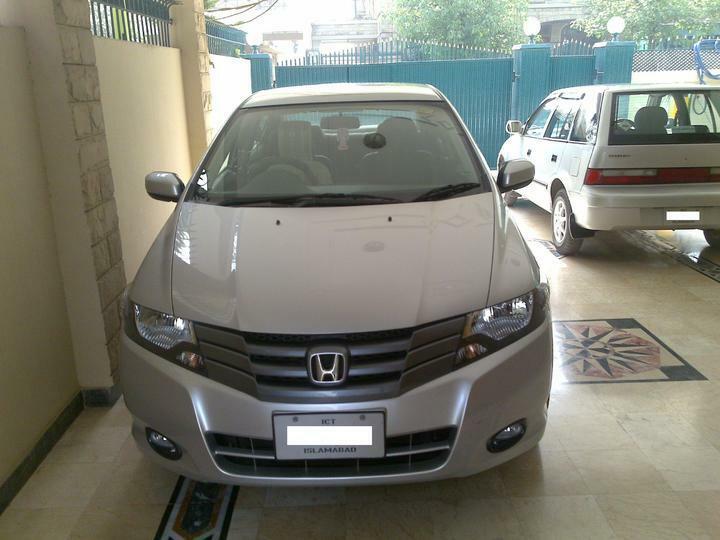 Currently (1) Honda City 2010 model variations are available in all cities (Karachi, Lahore, Islamabad, Quetta, and Peshawar etc. ).